The contemporary city is built on a layered network of infrastructural systems, which supply it with electricity, water, gas, and data, while removing and processing its human and industrial wastes. The buried infrastructures of the city collectively structure and support urban life, yet for the most part remain hidden from view — until something goes wrong. It is at that point — the point of critical failure — that the material complexity of this infrastructure can be glimpsed, in the emergency excavation below the city street and in the layered cross-section that it reveals. Interwoven with the physical and material properties of the infrastructural systems themselves are the socio-technological practices on which their continual functioning relies: the daily routines by utility workers, inspectors, municipal agencies, and taxpayers that sustain and maintain these infrastructural systems. At the same time, we understand that socio-technological urban systems do not operate independent of ecological processes — they both underpin and shape the socio-ecological assemblage known as the urban ecosystem. While the ecological impacts of urban water systems, sewage systems, and the construction of the modern sanitary city have been quite well-studied by urban theorists, the topic of fossil flows and urban energy infrastructure are a more recent area of investigation. Older energy sources such as coal and oil have long urban histories, having arisen hand-in-hand with the modern industrial city. Today, a newer critical area of study is emerging, focused on the current energy transition — both in terms of renewables but also the infrastructures of natural gas distribution, storage, and electrical generation which are increasingly fueling American cities during the gas fracking boom of the current decade — and the impacts to the global climate system that these newer systems entail. This reading list explores some of the intertwined socio-ecological and socio-technological systems of the buried city, and the ways in which they impact the ecological, political, and cultural processes taking place above (and around) them. It was compiled during research for the project, Mapping Methane: Unearthing Gas Infrastructure’s Socio-Ecological Impacts, the result of a Maeder-York Landscape Fellowship in 2017. Finally, we know that the flows that support urban metabolism do not start or stop at the city boundary, but in fact extend far out into the city’s hinterland — into its watershed, energy-shed, food-shed, and waste-shed. 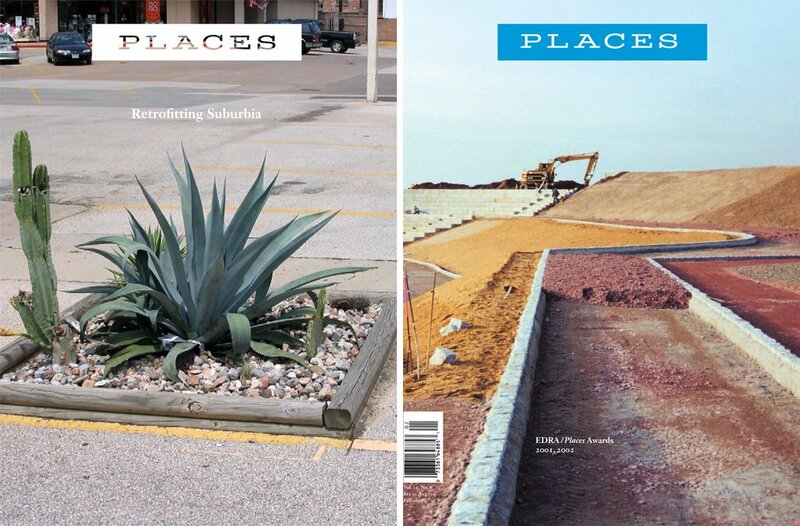 While this reading list does not try to tackle the associated conversations of regional infrastructure and territorial control that accompany this expansive reading of urban flows, it is important to keep in mind that the physical infrastructures in the city continually catalyze extensive landscape transformations far afield. To that end, several of the items on the list do unpack some the interconnected spatial relationships between the buried flows of the city and the larger material, energetic, and capital flows that sustain them. An authoritative tome on the evolution of the water supply systems, wastewater and sewage treatment works, and solid waste disposal networks in America, tracking the technological responses through a sequence of developments in the prevailing societal views on the environment and public health. An exploration of the technological transformations, the biophysical feedbacks, and the changing socio-political dynamics in the face of the transition from the “bacteriological” to the modern city, specifically around the issues of water and sewage. A taxonomy of approaches to urban metabolism, tracking developments from the early calculations of urban wastes vs. fertilizers, to newer studies of urban material and energy flows, to more complete socio-ecological accountings of urban metabolic processes. A strategic framework for the study of urban ecosystems and urban performance, by an international star cast of today’s leading urban ecologists, this consensus paper presents the contemporary scientific understanding of cities as complex social, ecological and technical systems. A thorough critique of the city as predominantly a planning- and engineering-driven project, this book reframes the city as a dynamic interaction of material, ecological, and capital flows and processes. Bélanger advocates seeing the city as it is, or could be: re-territorialized as an extended landscape of flows, responsive to shifting economies, supported by ecological systems doing work as living infrastructures, a system of systems. A collection of essays calling for new disciplinary hybrids as key players in the design of urban infrastructure, with agency not only over the more traditional components of urban form, but the performance of the “invisible” infrastructural systems as well. A thorough unpacking of the contemporary American electrical grid — its components, organizational systems, underlying policies, and points of weakness — situated in the context of its historic quirks and necessary future transformations. This essay, later incorporated into Bennett’s book Vibrant Matter, describes the energy grid as a complex socio-technological assemblage — not quite alive, yet exhibiting its own agency, behavior, and self-organizing principles. An infrastructural history of gas in America, from its origins in gaslight for the Northeast’s city streets using manufactured coal gas, to the transition to natural gas, the construction of long-distance natural gas pipelines to transport it, and the expansion of its extraction territory. This influential paper uncovered the prevalence of gas leaks below the streets of an entire city, and was the first to spatially map these leaks, articulate their significant contribution to climate change, and tie them back to the particular material history of the early gas distribution system of the city. In this illustrated guide to the urban infrastructural systems of New York City, each spread is an illustrated primer unpacking one of the city’s many networks and their parts: water, power, sewage, garbage, mail, rail, freight, streets, and transit. An investigation of how the architectural representation of the city’s cross-section gradually retreated from the complexity of the underground, ceding this territory to other fields, and a provocation to recover the full suite of concern for urban systems, both in representation and in practice. Three portraits of iconic New York City public parks, as seen through the lens of each one’s extraction territory — the quarries, steel mills, and timber plantations that supplied their materials — and the transformations that their construction catalyzed in the city’s distant hinterlands. Changing forms of energy — from wood, water, and muscle; to coal and steam; and later oil, gas, and nuclear — created not only new spatial, urbanistic, and industrial arrangements in American cities and farms, but shaped and re-shaped American culture and society at a fundamental level. In Cronon’s method, one cannot ever separate the cultural history of a city from its underlying natural history, or vice versa. In this foundational environmental history text, both threads are woven together brilliantly to tell the story of Chicago’s evolution into a modern metropolis, fueled by the intersection of Western frontier resources and East Coast capital.